Over the Easter long weekend, I took my first trip to New York City. It was a very last minute adventure. My sister was already going and my brother said, why don’t we surprise her and have a siblings trip! It was a great idea. So once I ran it by the hubby and made sure everything with the kids would be taken care of, I said YES! It’s a bit unlike me because I’m more of a planning person but I really glad I did. We had a wonderful time and fit ALOT into three days! We did some sightseeing, lots of walking and subway riding, some shopping and ate lots of good food! We actually fit so much into one weekend that I couldn’t possibly share it all, so I’m narrowing it down to 11 Fun Things I Did in New York. Times Square was pretty awesome. Our hotel was in that area and it was amazing to see all the lights, billboards, people, shopping and food. It was always bustling and there was always something interesting going on. And where else can you go shopping at H&M at 1:30am? 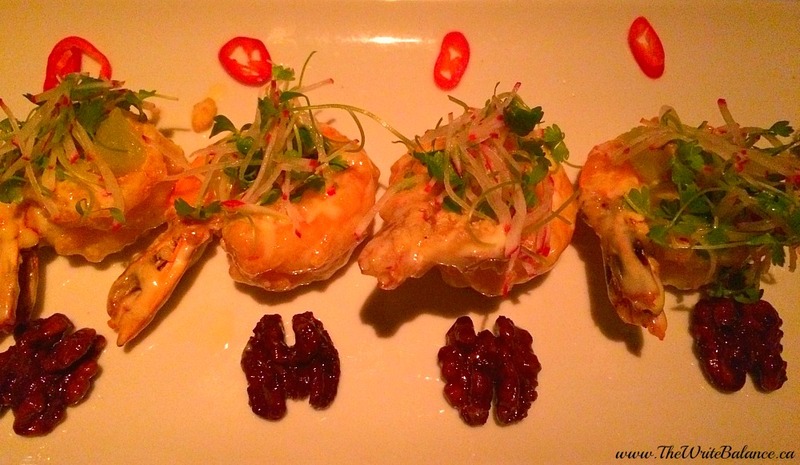 Our first dinner was at Buddakan in the meat-packing district. The restaurant had a great atmosphere and the food was delicious! What stands out most for me was the calamari salad, jumbo shrimp and and charred filet of beef. And when the server heard it was my birthday, she actually brought out the yummiest passion fruit meringue! Even though this wasn’t on my bucket list, I’m glad I got to see the Statue of Liberty. It’s such a big piece of world history and I can’t even count how many times I’ve seen it in a movie or TV show. 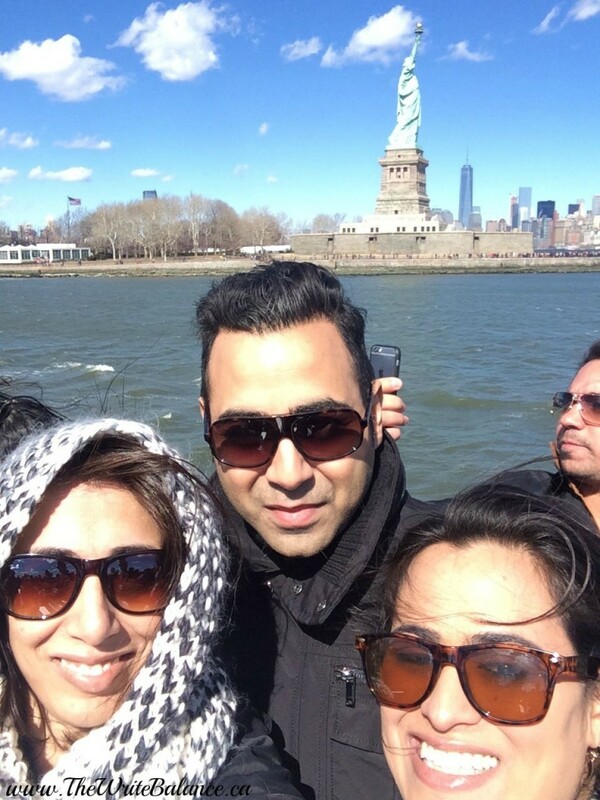 It was nice to be able to take the ferry ride to see the New York skyline and see the statue up close and personal. September 11, 2001 is a day that will be not forgotten. The memorial that has been built at ground zero is really a must see. It’s a tribute to the people who lost their lives. It is also an in depth look at what happened leading up to, during and after. I did shed a few tears, but I’m really glad that we did go to the 9/11 Memorial. 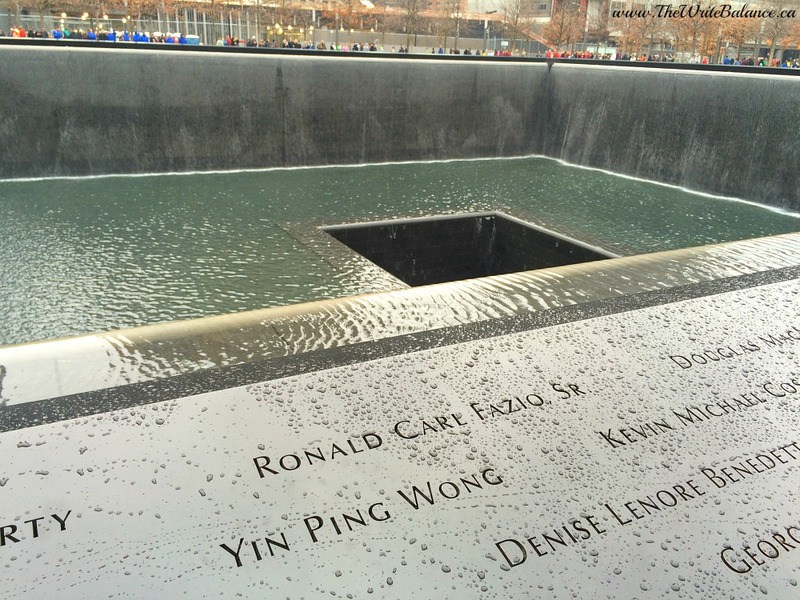 One of the Memorial’s twin reflecting pools with the names of every person who died in the 2001 and 1993 attacks are inscribed into bronze panels edging. I was told that the Shake Shack is a must and that was no lie. 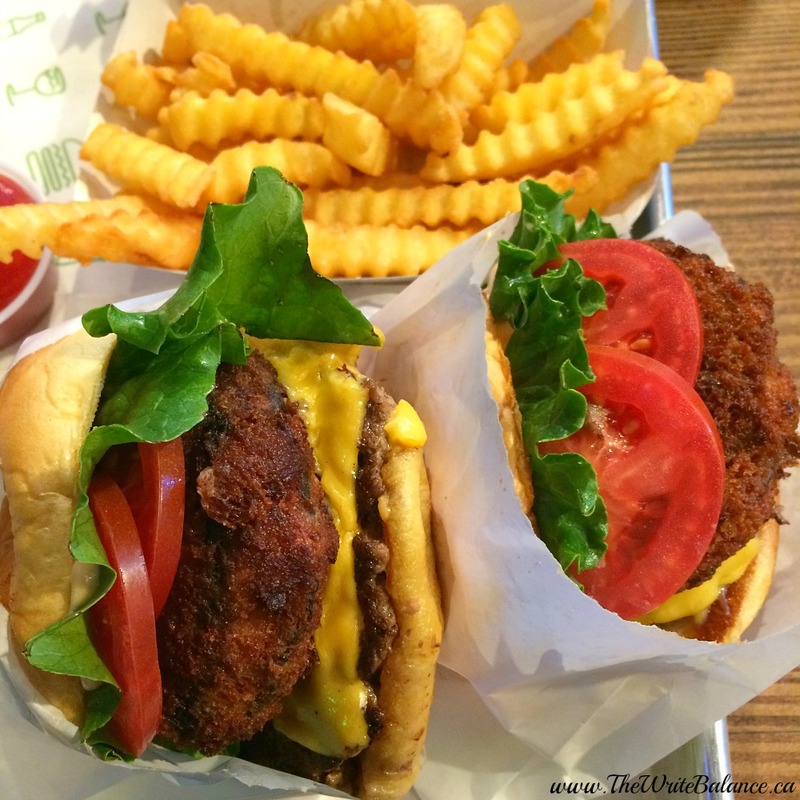 Even though there were always line-ups down the street at any Shake Shack location we saw, we lucked out and managed to get in at a good time. We ordered the Shack Stack which is a cheeseburger and mushroom burger in one. And once you bite into it, it’s filled with deliciousness, I mean wow! If you love burgers than you need to try this one! We took a walk through Central Park on our way to the Metropolitan Museum of Art. The MET was actually pretty amazing! It was so big with many areas that we had to just pick and choose a few to visit. 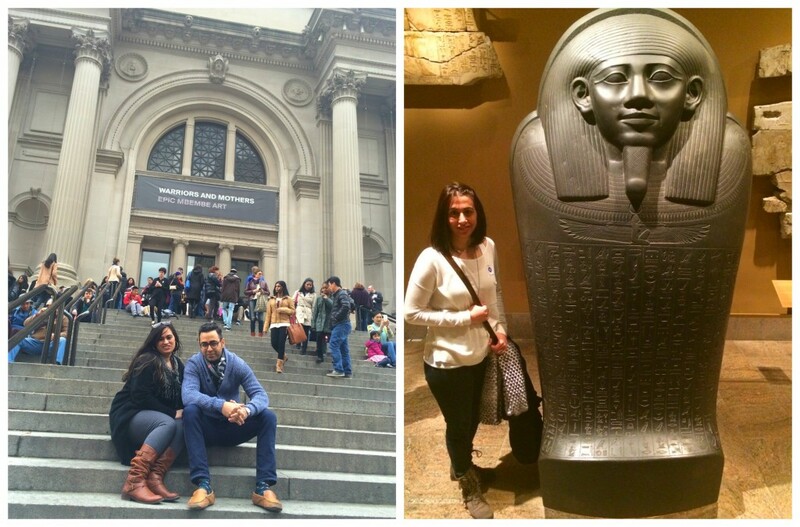 We viewed the Modern & Contemporary Art Exhibit as well as the Egyptian, Greek and South Asian Exhibits. Hopefully we will get to do the rest during another visit. As suggested by some friends, we went shopping at Macy’s and Century 21. Both are HUGE department stores with brand name clothing at really good prices. I didn’t go crazy, but I did pick up a few articles of clothing for myself that I love and got really good deals on. I also got some cute pieces for the kids, I couldn’t resist. We left the Empire State Building for the night before we were leaving. We went up at midnight and it was perfect. There were no line-ups at all and it was an amazing view of the city and skyline. If you only choose to do a couple of the touristy things, this should definitely be one of them. And lastly I have to mention a small little restaurant called The Spotted Pig. The dinner was great but what really stood out was the dessert. My sister decided she wanted to try the creme caramel and when it came, OMG, it was so amazing! The dessert was so good, we actually went back the next day after dinner, just to eat it for dessert. – Wear good shoes because you’ll be doing a lot of walking! And I mean like really good shoes with support. – Know ahead of time that a lot of the major tourist attractions require you to go through airport like security, so no liquids, belts and jackets off, personal belongings through a scanner etc. 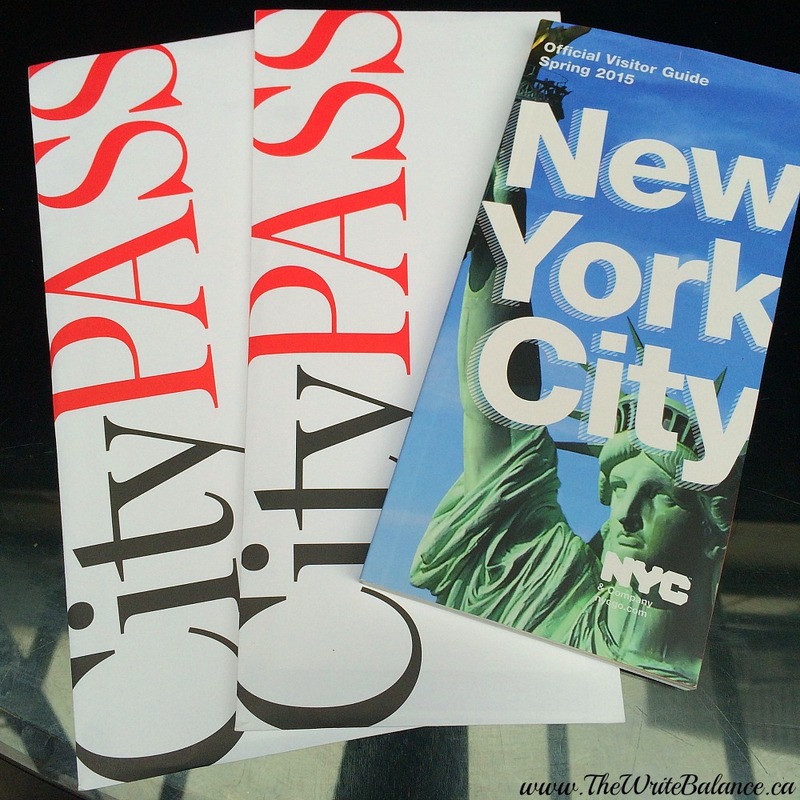 – Keep a map of the city with subway lines in your back pocket. It will come in very handy! Those were some of my favourite things from my weekend trip to New York City. If you’ve been their before, what did you enjoy the most. If you’ve never been, what do you want to do and see when you visit? I really enjoyed reading your post. I have never visited New York. I would love to check out all the places you mentioned. Glad you had a fun weekend with your siblings! Did you know that today is National Sibling Day :)? I’m glad I did it too Urailak. I hope you get to visit one day too! We stay in New Jersey so NY is just 45 mins away. And yet we haven’t been able to cover all the attractions during any of the earlier visits thanks to its vastness. But we have an ongoing list of places we should see and plan around it. Wow, that was quite the trip! Thanks for all the pics and descriptions! I went into NYC a few times when I went college in Nyack, not too far north of NYC. As a country girl, it was quite the experience and I know my city-dwelling classmates were embarrassed about how many times I stood looking WAY up at the skyscrapers! I live in a big city in Vancouver and I still found it overwhelming too! Great list! As a born and bred New Yorker I would add some more things to your list. 1. Rockefeller Center / Radio City Music Hall 2. South Street Seaport 3. The Intrepid Air/Sea/Space Museum. There’s more – but honestly, you’d have to stay for two months in order to see it all! Glad you enjoyed your trip. Thanks Eydie, I’ll have to add those to the list for my next trip! Wow! What an adventure. You packed everything into your New York visit. I’d love to go, but I enjoyed seeing the great city through your photos. I’m glad you enjoyed the post Francene. Yes it was quite the adventure! Love this post. 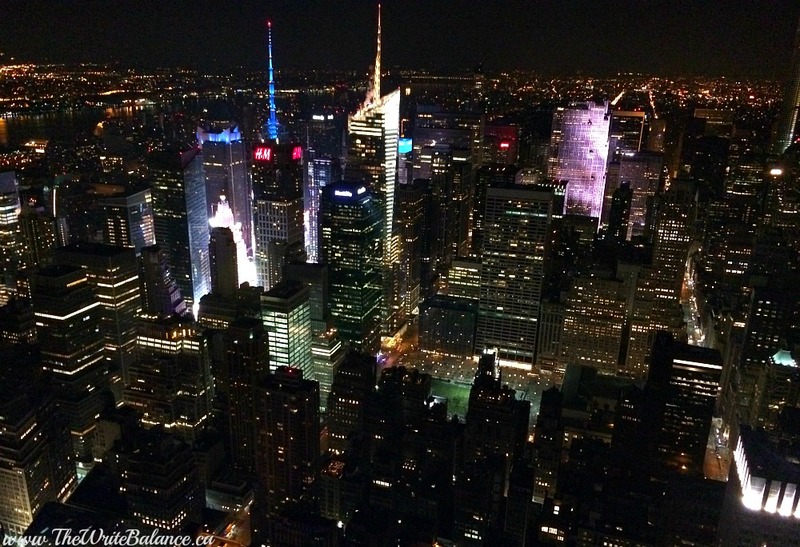 NYC is one of my favorite cities and you captured the city so beautifully. Buddakan is my favorite! Thanks so much Kamana and yes it was delicious! WOW! I’m so amazed by all that you did in such a short amount of time. Every time I visit NY, I feel so overwhelmed by all the city has to offer. I will definitely have to resort to your guide to help during my next visit. Time square is one of my favorite spots in NYC! Your trip sounds you had a lot of fun! I’ve also been wanting to try cronuts! Wow, I haven’t been to NY in years, thanks for the short visit. Your meal at the Buddakan sounds delicious and I’d love going to the Met and seeing the 9-11 memorial. Thanks again and a belated Happy Birthday!